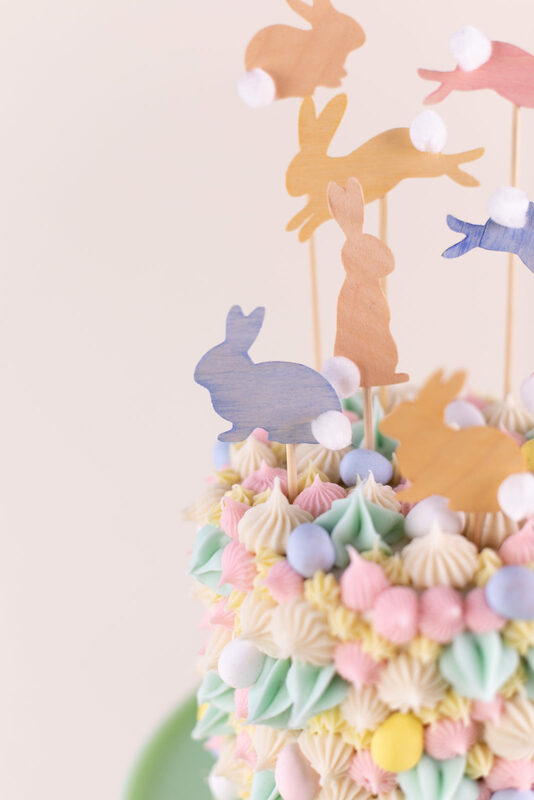 Easter is right around the corner, and chances are you’re hosting or attending an Easter brunch/dinner/meal of some sort! 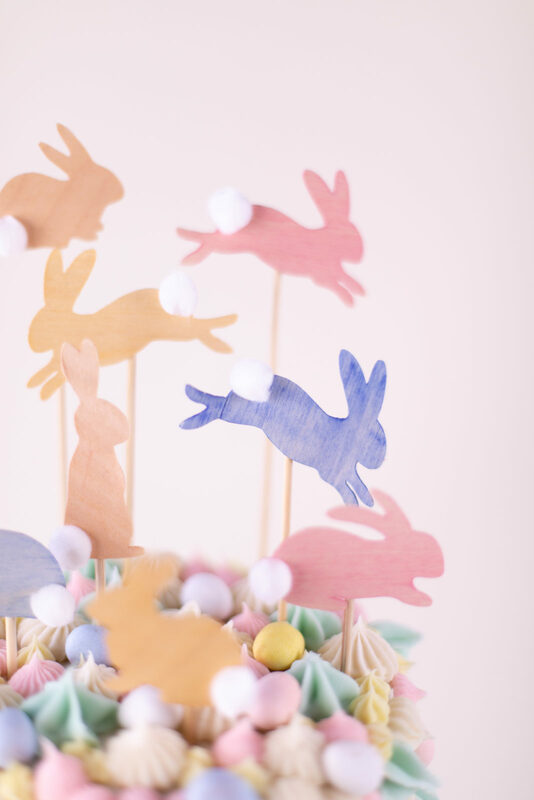 So if you’re in the mood to bring something sweet, think about topping it with adorable bounding bunnies! 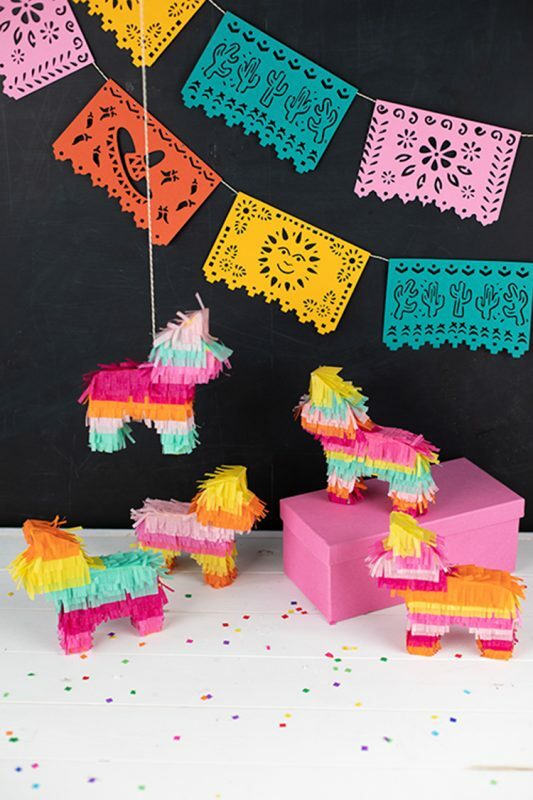 They are super simple to make but are a real show stopper. 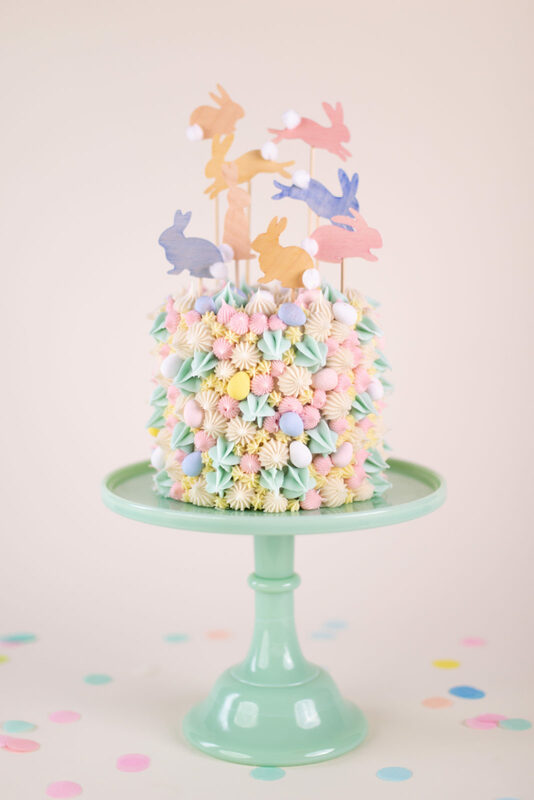 They’d also be great for a baby shower and would look equally sweet on cupcakes. 1. 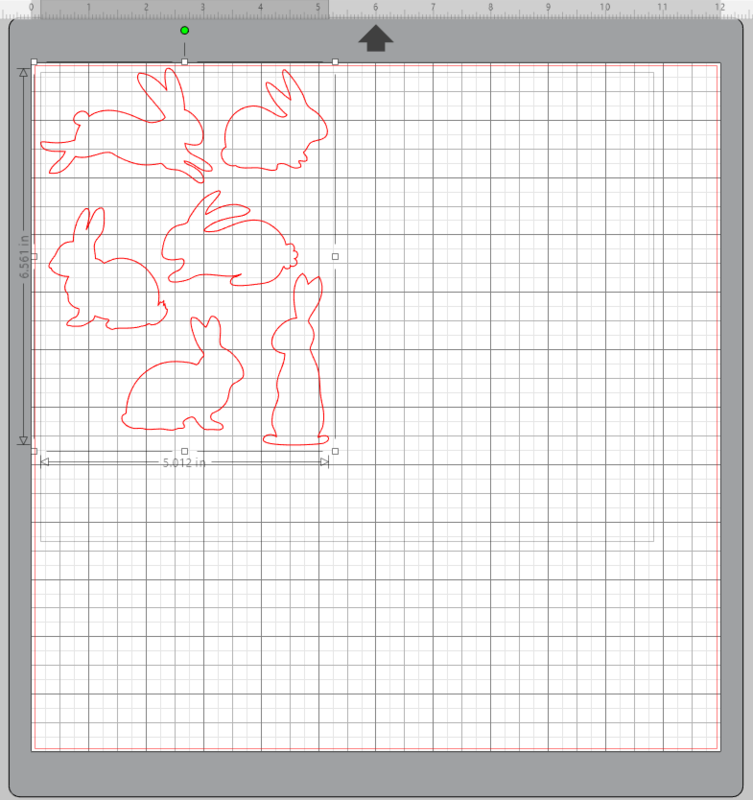 First open the Bunnies design (Design ID #57884) in Silhouette Studio® and size down the image so the bunnies are each between 1 and 3 inches tall and wide. 2. 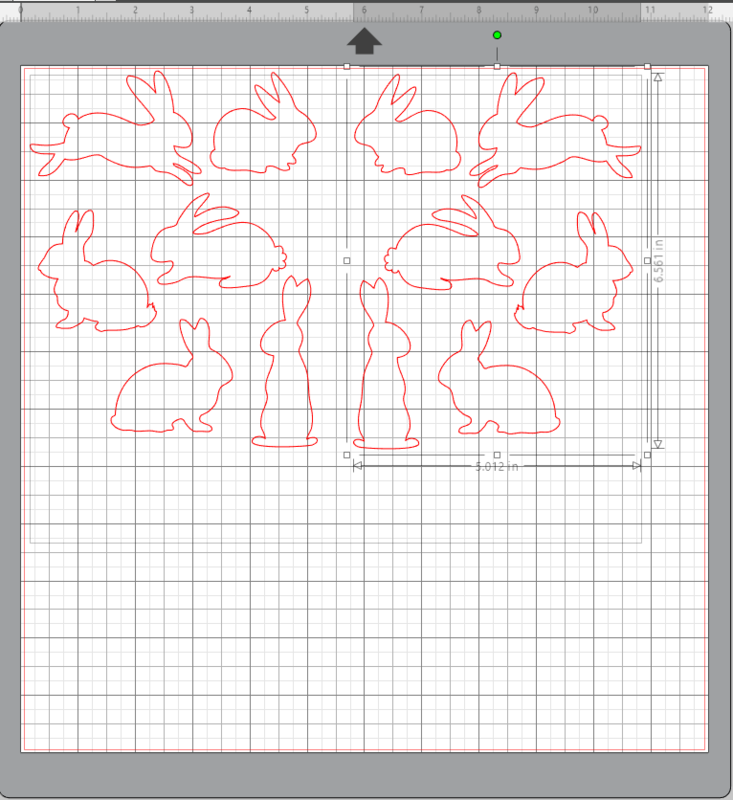 Duplicate the image and then flip the image horizontally so that each bunny has a mirror-image of itself. 1. 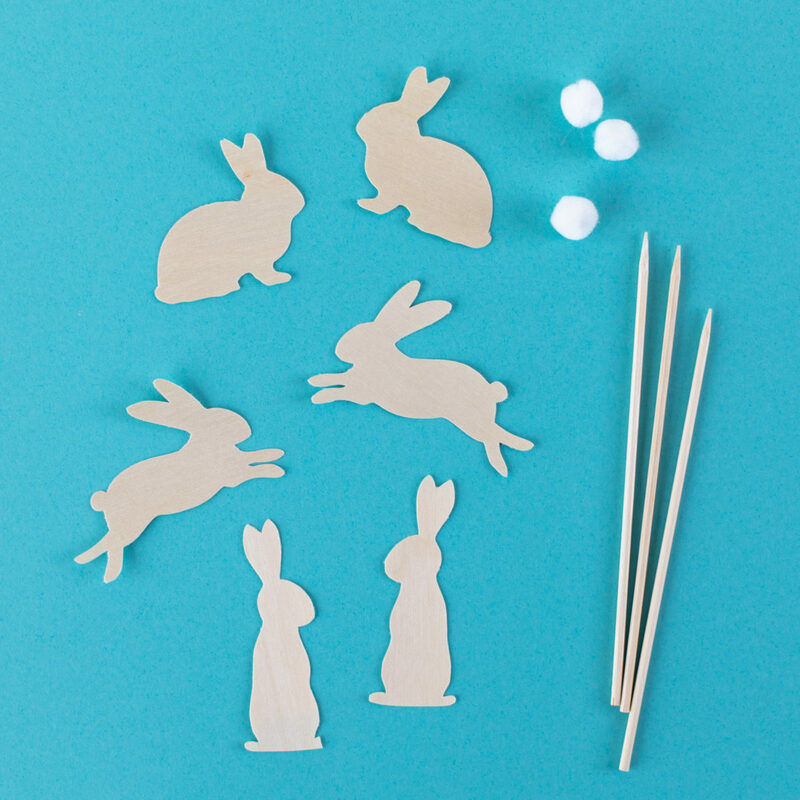 Using a glue stick, glue the mirror images of each bunny together so that both the front and the back are wood. 2. 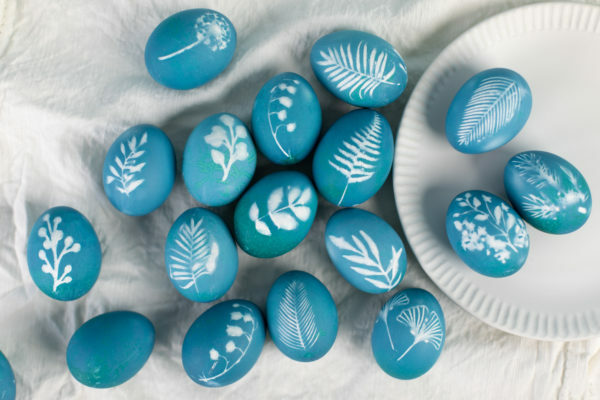 Then, if desired, use watercolors to add some color to your bunnies. Allow the wood paper dry. 3. 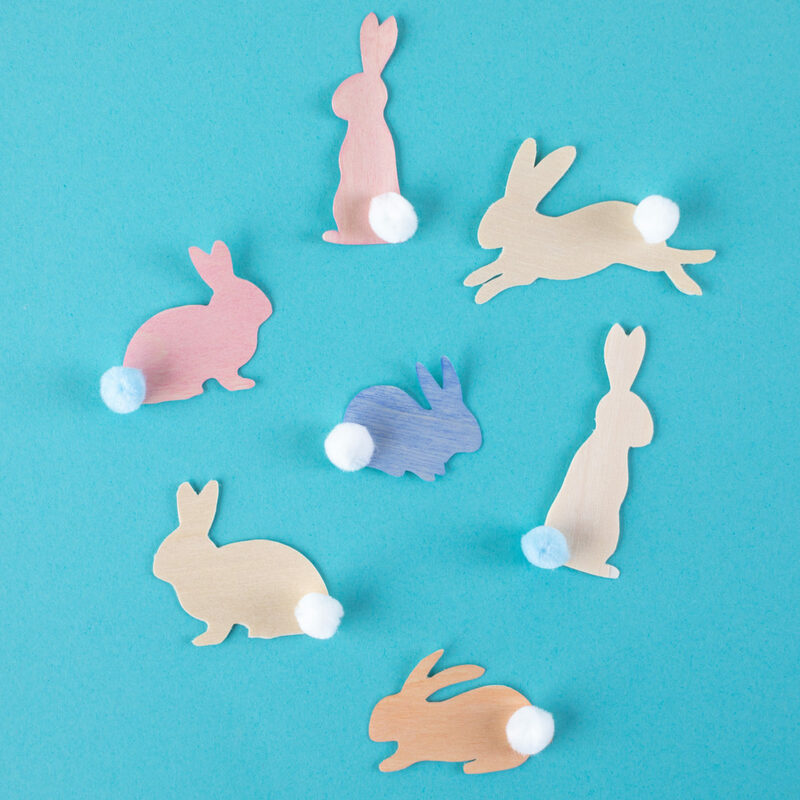 Using a hot glue gun, glue on a pom pom to one side of the bunny for their cotton tail. 4. 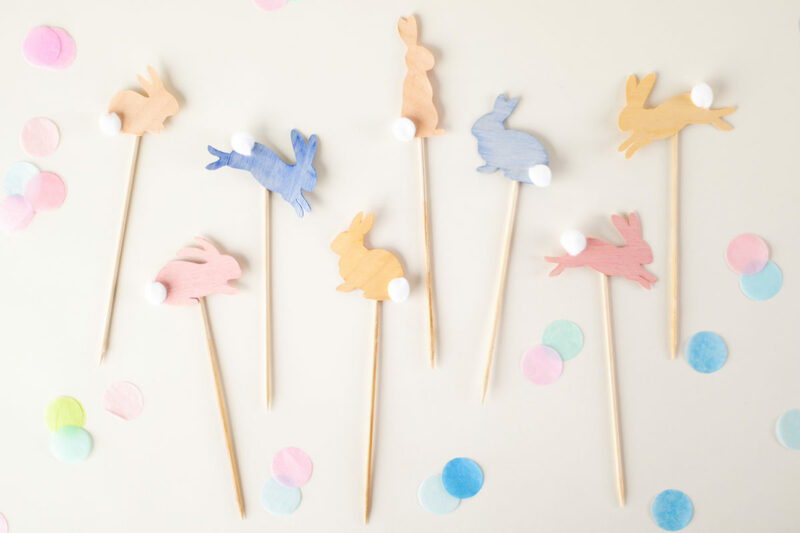 Then hot glue a skewer onto the backside of each bunny. 5. 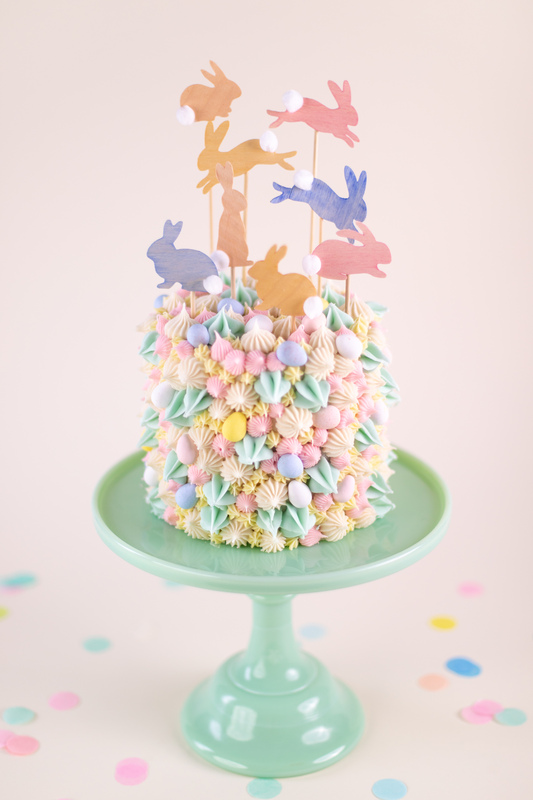 Arrange on your cake and have a “Hoppy” Easter celebration!